Apartments now do have roof top rainwater harvesting but the amount of rains which fall over a residential building is far more than what we collect. Each home owner can use his/her balcony to contribute towards collecting and conserving this precious life giving resource. I have not seen any flat owner use his or her balcony for rain water harvesting though on good days it may get a several buckets of water. Storing it carefully can save us lot of problems later. It is predicted that our city will have to be evacuated in 10 years’ time due to water shortage. This one is my favorite. Doesn’t need any investment. Just few buckets kept closely together. Though some water will still be wasted but something is better than nothing. 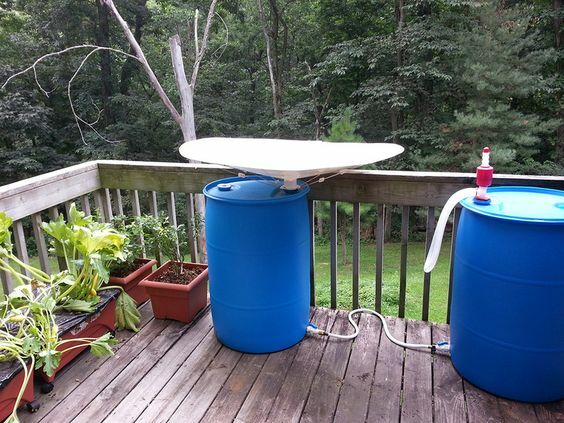 This system lacks connected water storage but a perfect way to get some exercise in carrying those buckets to storage. Next one is just a covering of some part of balcony by a corrugated sheet where last channel is connected to a tube which fills water in the bucket. This works in balconies having some space. This serves a dual purpose of a shed of something as well as rain gatherer. 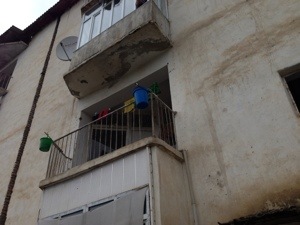 From a part of world having bad water problems but idea can be improved upon by making proper hanging containers in the railing to collect rain water. Once an immigrant from one of our neighboring country told me how their village homes are water self-sufficient. 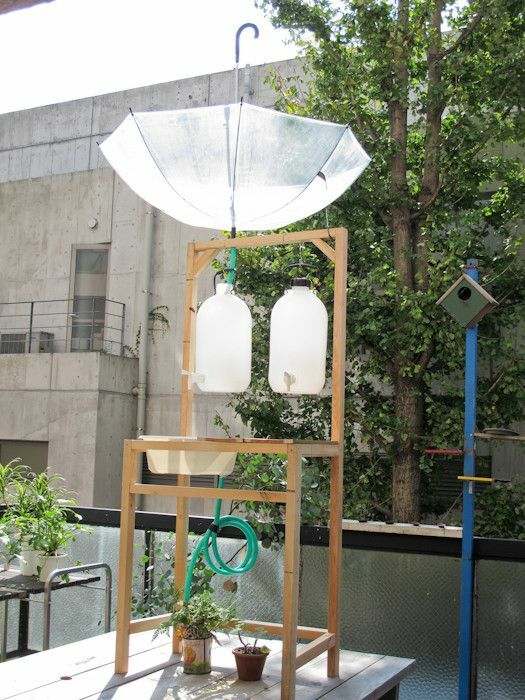 They collect rain water with this simple sheet and pole arrangement and fill water for an entire year. Same thing can be done in a balcony with sheet slope on one side instead of center as these two photos will explain. One of the simplest way would be to put a hanging rain gutter along your balcony railing or on tip of a window canopy to collect that extra water. Any good thick metal or plastic pipe (not PVC) can be cut in half vertically with a hole at one end from where a tube can be connected and put in storage. 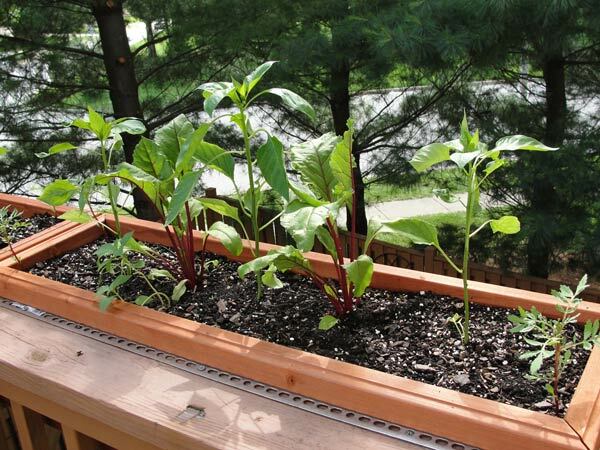 A beautiful way to collect rain water can be flower decks on balconies and windowsills. Pots can be taken away during rains and water collected in these beds. Need to connect to a tube and storage. Serves purpose of flower pot holder in other seasons and water harvester in monsoons. Good old umbrella the universal sign of rain water harvesting and the featured photo of this article, is the simplest way to collect rain on a balcony. Don’t throw away the old umbrellas. They can be attached to a barrel and left out on balcony like the 1st photo or can be hanged by the roof of the balcony or window canopy as in the second photo. 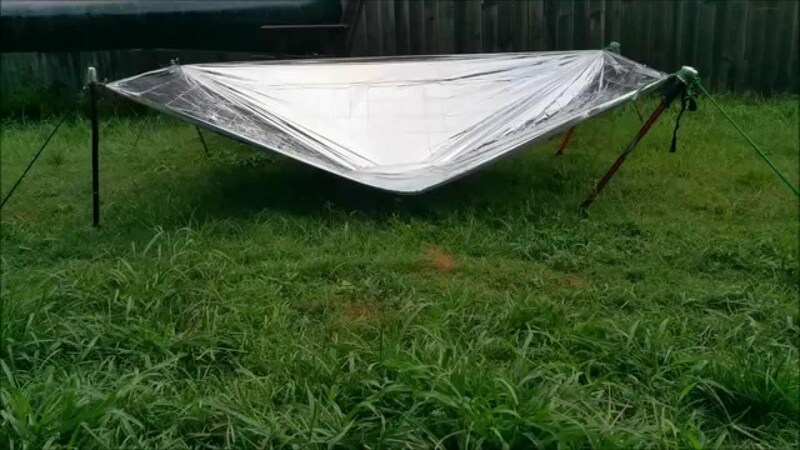 It can be removed to get the rain water or tubes can be fixed in a hole made in the fabric and water collected in a barrel kept close by. One’s imagination is the limit as to how we can use these old umbrellas for harvesting rains.